Ordinary Meeting of Greater Manchester Association of Trade Union Councils. 25th July, Friends Meeting House, Manchester 11am. Clifton Hall Colliery was in production from 1838 to 1929. the garden and monument is being built to remember the disaster which occurred on the 18th June 1885 when 178 men and boys were killed in a great explosion caused by methane gas. This tragic disaster left the local community devastated. 2015 is the 130th anniversary of this tragic event. This pamphlet is outstanding for it’s foresight. It tells the story of Trade Unions in the past 25 years. It describes the effect of World War One on the trade union movement, the 1919 railway strike, the rise of the Labour Party and the changing industry. Salford Trades Union Council’s was founded on King Street, Blackfriars, Salford in 1866. Originally Manchester and Salford Trades Union Council it went on to found the TUC in 1868 at the Mechanics Institute in Manchester. 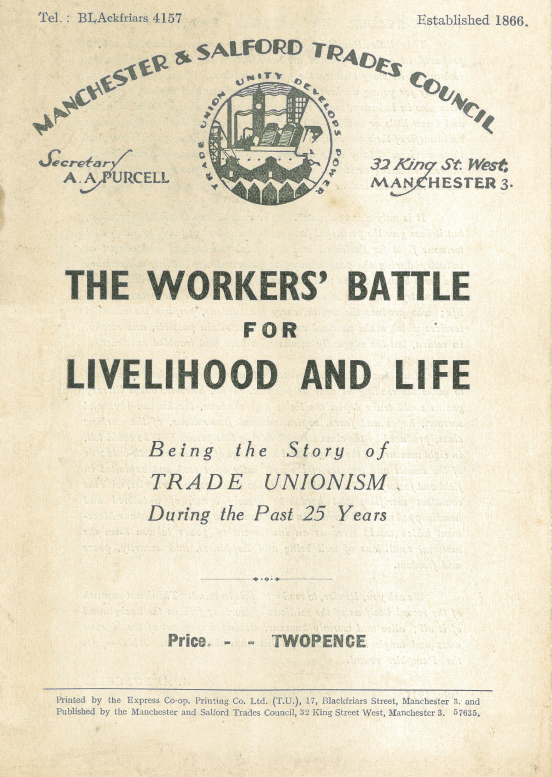 For 150 years Salford Trades Council has been the voice of the Trade Union movement in our City and has been at the forefront of the struggle to improve the lives of working people in Salford. Working together Trade Union branches can co-ordinate their activity and learn from one another. Any Trade Union branch which has members who work or live in Salford can affiliate. So even if your Trade Union branch is outside of Salford but there are Salford residents as members you can affiliate. 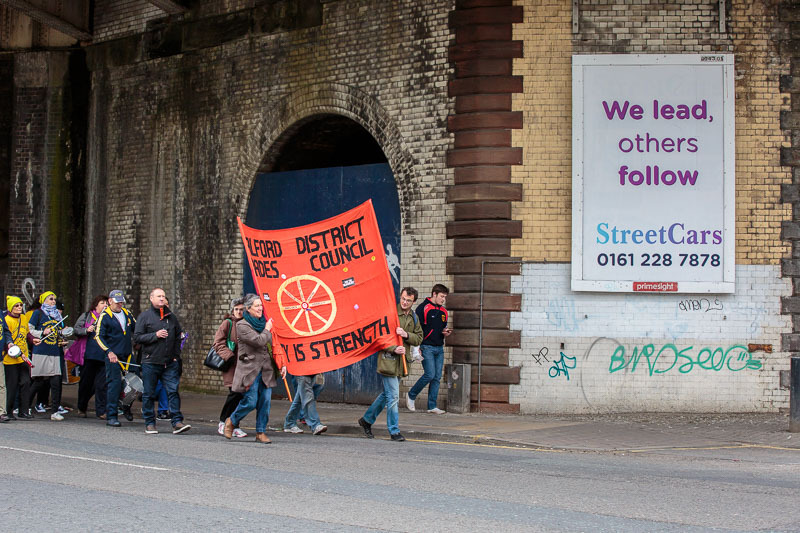 Salford Trades Union Council is the body for Trade Union branches across the city to organise collectively to strengthen strike action and improve the conditions and lives of working people in Salford. Affiliation means you can send delegates to Salford Trades Council and helps keep Salford TUC going for another 150 years.